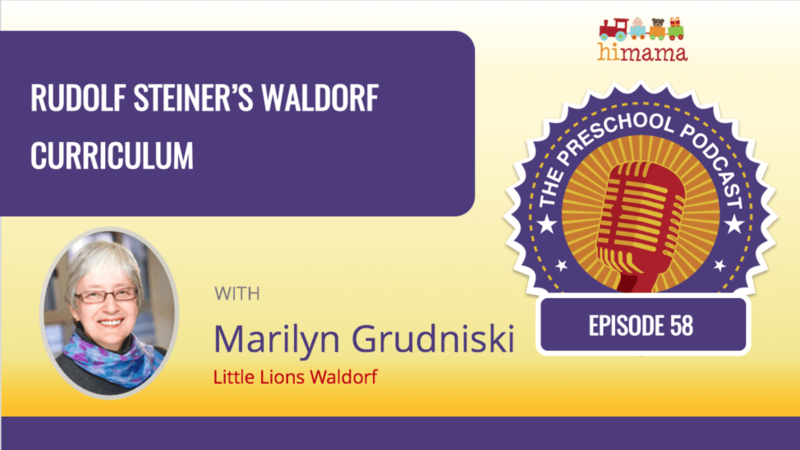 See below for our full transcrxipt of the podcast with Marilyn Grudniski, a dedicated Early Childhood Educator and proponent of the Waldorf philosophy, to learn more about the Waldorf curriculum and how it is used today. 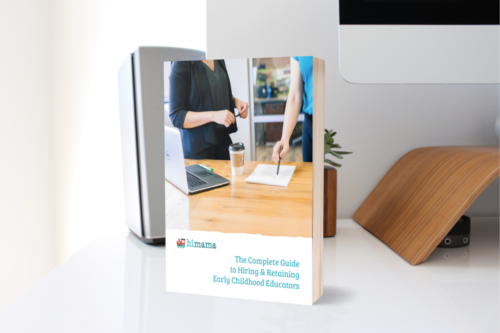 Awareness around different early childhood curricula is becoming more prominent as early childhood education becomes a growing need for working parents. Nowadays, information is literally at our fingertips and being an expecting parent myself, I’ve been through the search for the best early childhood education options for my newest family member. Common approaches that many of us have heard of include Montessori programs and Reggio-inspired programs. However, there is one philosophy that you don’t hear about too often, but has actually been around for a long time and is making a comeback – and that’s Waldorf. I’m really excited to be talking with Marilyn Grudniski, who is voted one of 2017’s most influential women in Northern Ontario, is a dedicated Early Childhood Educator and a huge proponent of the Waldorf philosophy. Marilyn, welcome to the Preschool Podcast. It’s great to have you on the show. So, Marilyn, you’re the CEO of Little Lions Waldorf in Thunder Bay, [Ontario], Canada. And you’re a special program because you’re Waldorf, and we’re going to get a little bit more into that. But let’s first start off learning a little bit more about Little Lions and your childcare programs based out of Thunder Bay. Okay, well, I’ll tell you a bit about the history first. We started 35 years ago in a high school. The person who was running the Home Economics program started this as part of a Family Studies group, and the children who were enrolled were mostly the children of the teachers at the school. And a lot of high school students were involved in this and it was all part of their program. And then a few years later the school closed, and this group went and got some funding to buy a building and they became independent. And they stayed like that from 1984 until 2005 when we expanded it and opened our second center. And then we opened some others when there was government funding available. We took advantage of that, and we are now with 11 centers. That’s interesting. So it started out of a Family Studies group at a high school. So who are the children in the Little Lions program, then, at that time? They were the children of the teachers at the high school, mainly. And then other children could enroll as well. But it started off as a very small program. The teacher who ran that program had an interest in Waldorf, so that was the type of program she created. And the Waldorf philosophy started in Europe, of course, and the teacher who ran this program had a German background. So that was her interest, and that’s why it became Waldorf. Interesting. And when did you join Little Lions Waldorf? In 2001. I moved back to Canada at that time, and I had known about Waldorf but didn’t know very much about it. And I’d had an extensive background in teaching school. So this was my first introduction to early-childhood, and I started at the center and within a year I became the supervisor and then as we grew my position changed to CEO. Cool. And where did you move to Canada from? I had been in Chile before that. I’d worked extensively in other countries and other continents. My husband worked for the U.N. and so we did a fair bit of traveling. We had gone from Thunder Bay for 26 years. So coming back to Thunder Bay and finding this little Waldorf program was just such a little treasure. And I just fell in love with it, and I stayed. Oh wow, that’s neat. And so let’s now dive into the Waldorf philosophy or approach a little bit more. And correct me if I’m using the right or wrong words to describe it, but let’s start off just sort of with the basics of what it is and maybe how it’s different to other methodologies or approaches that are out there in early-childhood education. Well it’s based on the work of Rudolf Steiner, so you might hear it referred to as Steiner education. And it’s got I think close to 2,000 schools worldwide. It’s a very large, worldwide program. But in the Waldorf philosophy they really promoted staying home with your children when they’re young, really protecting the first seven years of life so that that children are immersed in their family life and they aren’t exposed to school-type learning until age 7. You see that in some countries, like Finland is very similar to that. So that’s what the Waldorf philosophy was like. And because of that, then they weren’t really promoting childcare centers or things like that. But we find that society evolves and things change our lives are so very different than they were 100 years ago when this philosophy started. There is a need for early-childhood care. And because so many families now have both parents working we find that the home life is not the same as it was. And part of our philosophy is that we’re trying to recreate that here for children so they have that sense of home, that sense of belonging, and kind of replacing some of the things that they might be missing in their home life. Right. So I guess that’s kind of the main philosophy, then, is if in its infancy the goal was to have children staying at home up to age 7 is for you to basically try and replicate that in your programs, right? Yeah. And so we would for example have very natural things. So in our program when you when you walk into your home it shouldn’t feel like a department store. So when you walk into a Waldorf center it shouldn’t feel like that. It shouldn’t be shelves and rows of toys, bright, plastic, things like that. It’s not like that. It’s much more homelike and things are very carefully chosen. So we don’t just go and buy random things. We’re very particular about what we provide for the children. So no plastics and no electronics; we need we keep things very simple and very open-ended. We are inspiring a lot of creativity in children and we’re making it feel like a home. Interesting. And so that’s sort of something that’s a bit unique on the environment side. What about the learning and development or the pedagogy or curriculum that you’re using in a Waldorf program? Well it actually aligns very well with the new Ontario pedagogy. I don’t know if you’re familiar with the document, “How Does Learning Happen?” [Ontario’s Pedagogy for the Early Years]…? It’s very well aligned with that because we really focus on that sense of belonging that children have and how they engage with the environment and engage with other people. That’s very we’re very careful about that. The philosophy is really saying that the curriculum is the teacher. So it’s who you are as an individual. That’s what you’re bringing to your children in your program. Just like all children absorb from the parent, that’s what they do when they come to our center. They absorb from the staff. And so we try to have very well-trained staff who [of] just the right temperament to be with children, they have to be a very worthy model for them. We’re very particular about that. So for our listeners who may not be familiar with Ontario’s “How Does Learning Happen?”, can you describe to them what that is in a nutshell? Well it’s based on four principles: Expression, engagement, well-being and belonging. And in our philosophy those four things we put a lot of weight on that, particularly the well-being of children. In our philosophy we talk about the “asceric” [sic]; it’s that life sense that you have. And we find a lot of children come with their life sense already depleted, and with the different things that are going on in their homes and in their lives in general and just being in today’s society. So how do we strengthen that core? How do we develop children who have that strong sense, that when they walk in the door they are healthy; they’re full of life; they’re ready to just absorb everything that’s around them? So we nourish them – and being very careful about what we feed them – but also nourishing them in their souls in the environment that we provide and in the kind of people that we have interacting with children. And this is also what we’re looking for generally in Ontario. It fits very well with that framework. So it’s interesting because it’s almost like we’re coming to maybe more of a consensus on early-childhood education. And of course we have a lot more to learn and we’re always going to. But perhaps some of the different models and approaches and methodologies are starting to come together, and to one… I don’t want to call it a model, or I guess certain guiding principles that are best practices. And this may be as a good example of something that’s over 100 years old with Waldorf is now starting to align with something that’s coming out of the government of Ontario provincial government in terms of what they’re recommending to childcare and early learning programs here in Ontario. Yes, you’re right. We’re so thrilled with this because a decade or two ago we looked at what the government was putting out – it was nothing that we could use. We’re always sort of out there, a little different. And people who were looking for that specifically would find Waldorf and they just loved it. And now we find that the government is aligning with us, not the other way around. So in fact when I was at a meeting once someone from the government said to me, “Oh, we finally landed in your world!” Yep, that’s right, it’s a thrill. Because now we are not this weird program out there. Now people are realizing that, “Oh, all along we should have been doing that.” So we feel quite justified in what we’re doing. And I’m so thrilled that now people are copying us. Very cool. Now just changing tracks a little bit, let’s say I came at administrator or leader of a childcare [or] early-childhood education program and I’m interested in transitioning to be a Waldorf program. How would that work? Where would I even begin with that? I guess you’d begin in your own heart. So for you to decide you want to be a Waldorf program you would have to research what that’s all about. And it’s all about who you are as a person. It has in fact a spiritual base, if you look at the spiritual science behind it, what Steiner wrote. And too you would have to decide, are you going to just adopt all the practical things about Waldorf? And is that what’s drawing you to it? Or is there a deeper spiritual connection? So with the Waldorf philosophy it’s all about freedom. Nobody can say to you, “You have to believe this or that.” So nobody in the Waldorf program would say, “No, this is what Steiner said and this is what you have to believe.” It’s not like that. You read it and you come to your own understanding. And then what do you take in and work with in your own heart? So the person who wants to have a Waldorf environment, you could make it look Waldorf. You can come and copy our decor and all of that, and it wouldn’t necessarily be Waldorf unless the staff behind who are carrying this are really believing in all these principles, or they don’t necessarily have to “believe,” in quotation marks, the whole spiritual science behind what Steiner created. But they have to have an understanding of it. And then you work with your own beliefs. So it’s very open. People think that… it’s not a religion, but it could be a spiritual path for someone. And then you’re free to accept or not accept any of that. And it’s very different than saying, “Okay, now we’re going to be this philosophy,” and then just checkmark this is what you have to do. It’s not like that for us. And what you’re saying, I can already see the relationship with Ontario’s “How Does Learning happen?”, which of course is the title of the document is in the form of a question. And so of course part of the implication of that is there is no right answer and you’re free to ask questions and always be learning. Question for you: Given what you’ve just described, which I think makes a ton of sense and I think applies even to anything we do in life which is that it should be authentic and that’s really the only way you’re going to be successful with that is if you truly believe in it with your heart, as you say. And I guess in that case the leadership of the Waldorf program would be central to that happening, and that sort of being part of the culture of the Waldorf program. Right. You have to have a leader who’s promoting it, who’s modeling, who lives it. And so our podcast really is focusing on the future leaders of early-childhood education. 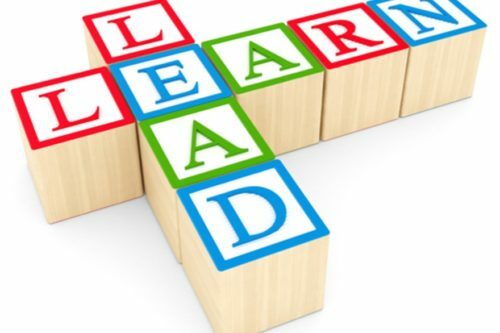 And so can you tell us a little bit more about, in your role as a leader, what does that mean in your day-to-day and working with your educators and families and children to have that culture where everybody is part of this authentic Waldorf environment? Well we found that it was because we grew very fast from 2005, we grew over about eight years to have eleven centers. So with all that growth we don’t have enough Waldorf-trained teachers. 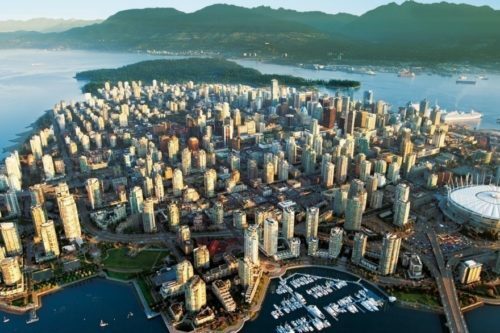 And it’s very costly to send people away – the closest Waldorf training to Thunder Bay would be in Toronto, and then there’s another one in [British Columbia, Canada]. So this is very costly, to send someone away to do a 400-hour training spread out over two years. That’s a lot of flying back and forth. So what we decided is that we need to have our own training center here. So we’re not yet accredited. But what we did was, our original building is going to be renovated next year and that will become our training center. We are already training staff in the rented space and we bring them presenters from all around the world. We’ve had a very close connection with Bernadette Raichle from Athena, in New Zealand. She came every summer for about six years to work with us. And we have Kim John Payne, who’s the author of Simplicity Parenting. He’s been coming to the past two years and we’ll continue with him for a few years. So we bring the Waldorf trainers here, and we’re training our staff here on site because that’s the only way we’re going to be able to say we’re truly Waldorf, because the staff so badly need to have this strong base. And that’s how we decided to work with. So professional development of your staff is clearly something that’s very important for you? Right. And as a leader I’m playing a major role in the training center. And as a Waldorf organization we’re very careful to take everyone’s input. So if we look at a Waldorf school, those schools are basically teacher-run where the teachers get together. They meet weekly; they make decisions. Wherein a childcare center where you have a lot of government regulations, there has to be that leader who’s signing off and doing those things. So it’s a little bit of a different organization. But I have regular meetings with my site supervisor, and together we brainstorm: “Okay, we need a new policy on this. What would we need to have in that policy? What does everybody think?” I don’t just create something and say, “Here, this is it.” We work on it together. Yeah. 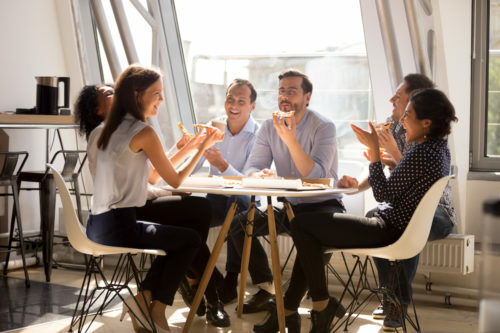 So clearly you’ve got a governance system in place, which works for you, but it sounds like you’re empowering your teachers to have an influence and make decisions and move positive progress forward in your programs through these weekly meetings. Is there anything else that you do to empower your teachers? This is something that we really try to emphasize at HiMama, so that’s why I’m interested to learn a little bit more about the teacher empowerment piece. Our teachers can just take on projects and run with them on their own. And we do have a Social Responsibility Committee where we do things even in the community. And we can do things outside [of] early-childhood that we feel support the community, and that’s where they just bring their idea forward, and how we want to work on this? And what do we find that we want to support in the community? And they are free to do those things and they’re free to bring those ideas back to the group, and we can move forward in a new way. That’s very cool. 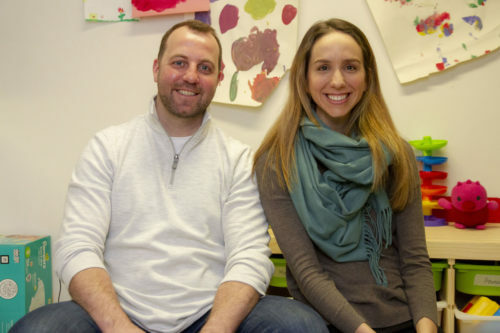 I really like that idea of teachers getting involved outside ECE [early-childhood education] in the community. And it’s a great example of where they can take little leadership roles to help develop those capabilities, which is excellent to hear that you’re doing that. Well, there’s a lot that you can learn. There are so many good people out there, people connected with Waldorf and people who are not Waldorf but whose values and their teachings align very well with us. You might want to recommend that they check out the Waldorf Early Childhood Association of North America. They have a website and a lot of books that are available there. There are lots of workshops that are held and things like that that people might want to take advantage of. I think if it was one thing I would want somebody to know when they’re starting off in their career: you have to have a deep understanding of attachment, and how that is not just in early-childhood but how attachment plays out over time working in your school-age programs into your own personal life. I don’t think we have done anywhere near enough work on attachment in our field. And it should be primary. And people always say, “Oh, yeah I know all about attachment.” No, I don’t think we do yet. There’s still so much to explore, and even after all these years I’m learning all the time about attachment. So that would be one bit of advice. That’s a unique piece of advice, First time I’ve heard that advice, so I love it. If I’m a listener [and] I want to get in touch with you, Marilyn, to learn a little bit more about yourself or about Waldorf programs, where can I go online to get in touch with you? http://www.LittleLionsWaldorf.ca. We have our website, and the e-mails to the website come directly to me and I’d be glad to answer any questions. I know I probably haven’t explained some things very well, so if people are questioning, “Why did she say that? What does that really mean?”, yes, please get in touch with me, because I wouldn’t want you to have the wrong idea of the philosophy just because I’m inarticulate. So please get in touch. Well Marilyn, from my perspective anyways I found this to be a really fascinating conversation. And one of the things that I find that’s really a theme throughout this conversation – and even with your advice to the younger early-childhood educators out there – is authenticity. And whether that is with your program and what type of methodologies and pedagogy you’re following, or whether it’s working with children directly or your colleagues, your teachers, it’s having this authentic view of the world and making sure you start in your heart, as you say. So that’s some great advice and really a great thing to live by as an early-childhood educator. So Marilyn thank you so much for coming on the show and telling us a little bit more about Waldorf. It was my pleasure. Thanks for inviting me.